As the industry leader in Trial Master File best practices, Phlexglobal understands the reasons why some companies fail inspections and why others consistently do well. While every organization is unique, these reasons inevitably come down to a single core principle: the alignment (or misalignment) of people, process, and technology surrounding the TMF. Customers place their trust in Phlexglobal because of our proven mastery over the TMF-related questions and challenges they face every day. A thorough quality assessment of your TMF, giving you detailed insight into its quality and completeness. Easily identify potential TMF problem areas and enable a risk-based remediation approach. Our TMF Practitioners have successfully mastered the challenges you and your teams face every day. Help ensure you are meeting GCP standards and regulatory requirements for essential documents. 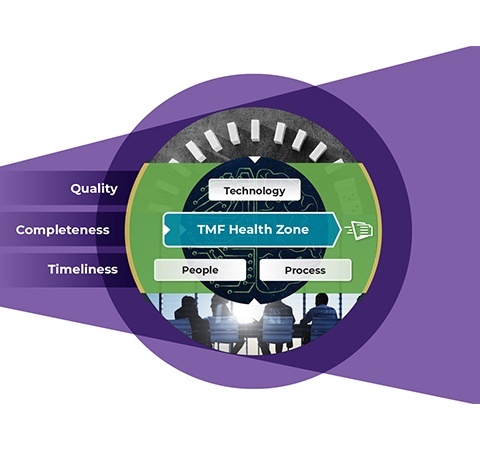 Our expert TMF consultants help your company reach and stay in the TMF Health Zone. Generate lasting benefits to your team and improve the overall health of your TMF. Get a true picture of your acquired drug’s readiness for inspection or submission--and fix any problems. Why choose Phlexglobal's expert services?